Learn how to speak Spanish through informal conversation at this weekly adult meetup. Our wonderful and lively instructor, Diana Morales will have you feeling comfortable speaking Spanish in no time! This group will meet for 12 weeks from February 5th through April 30th. Register to attend all 12 meetings on the February 5th event listing. 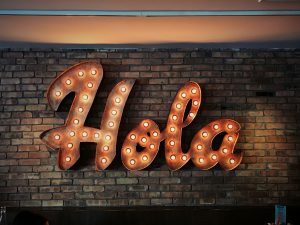 Since this is an ongoing course, this fall, attendees should know some basic Spanish vocabulary as Diana will be building upon skills the group built last fall. Please register on this event for the entire series. Note: the February 12th, March 12th and April 2nd meetings will be on the main floor in the McLaughlin Conference Room. 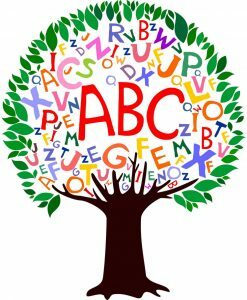 A great time for your readers-to-be to develop literacy skills that they will need for their upcoming kindergarten year. This storytime features longer books which are accompanied by a variety of activities including songs, flannel boards, and a craft. For ages 3-5. Wiggle, crawl, and bounce in this program for babies and toddlers up to 36 months. Ms. Sara will share fingerplays, rhymes, and shaker songs with our youngest patrons and their caregivers. Practice speaking Spanish through informal conversation at this weekly adult meetup. The group meets for 12 weeks from February 5th through April 30th. Register on the February 5th event listing. Spanish speaking natives new to the area and those who have a solid grasp on the language are welcome. This is a group for advanced Spanish speakers only. If you are interested in learning to speak Spanish, please check out the beginner's group which meets right before this group. Please register on this event for the entire series. Note: the February 12th, March 12th and April 2nd meetings will be on the main floor in the McLaughlin Conference Room. 2 Cool 4 2D: Open 3D Printing Time!